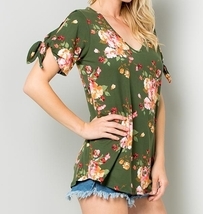 This top is super soft and so pretty! 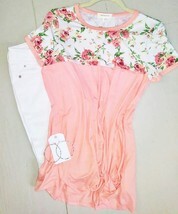 I love the floral print, the color-block effect, and the twist knot detailing! 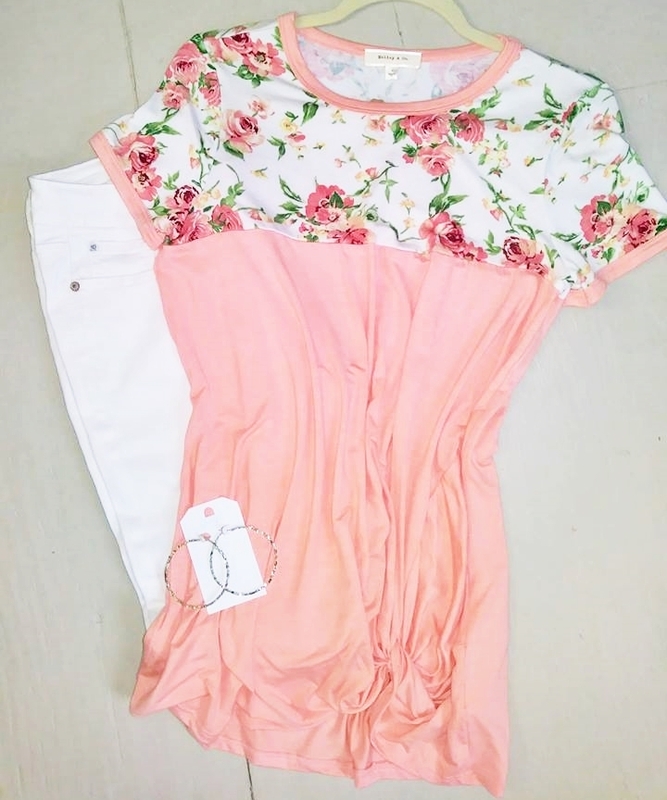 Pair it with white jeans to be wardrobe ready!